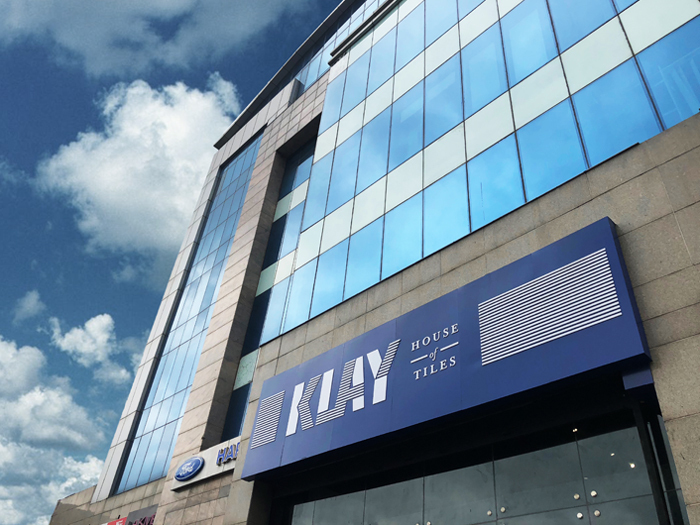 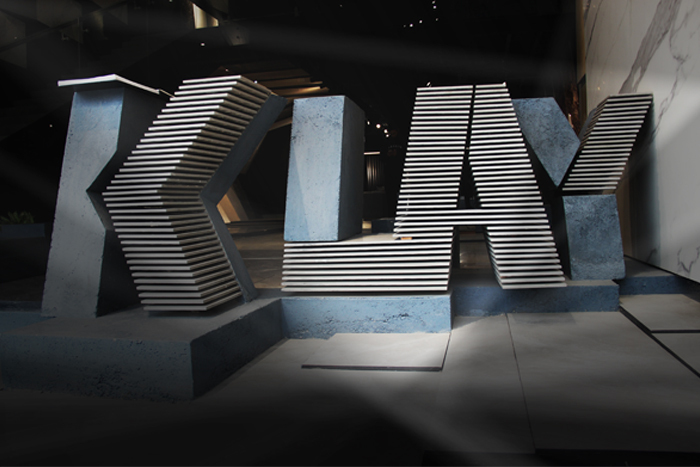 Klay is an upmarket interior and tiling company based in Gurgaon, India. 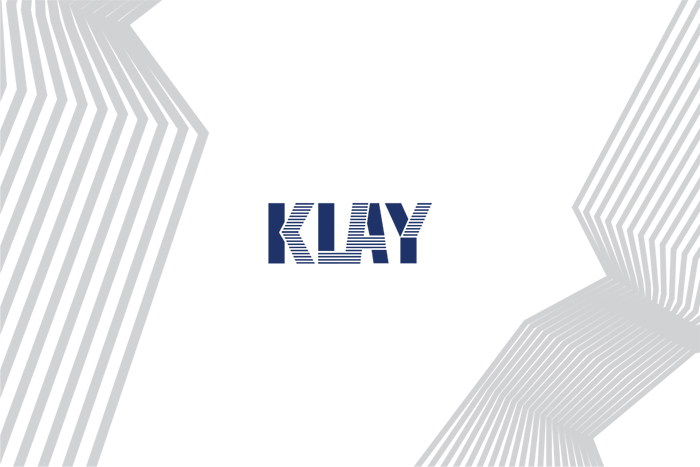 We created a visual identity for the brand, which was then introduced into their showroom interiors, along with other print collaterals. 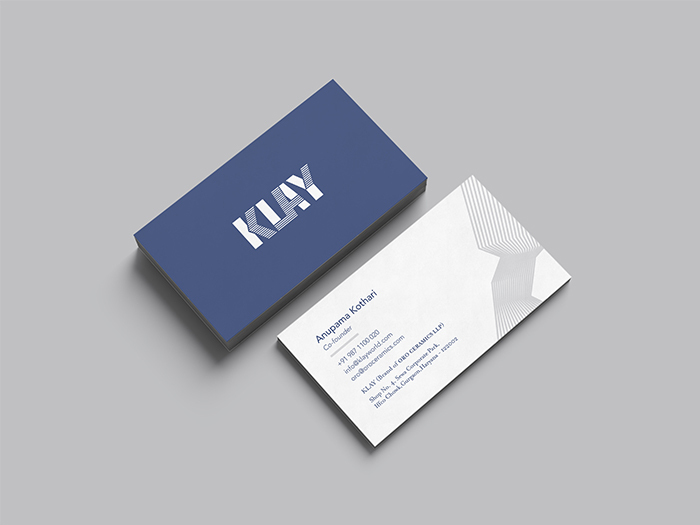 The idea behind the logo is simple - a reference to the common practice of stacking tiles. 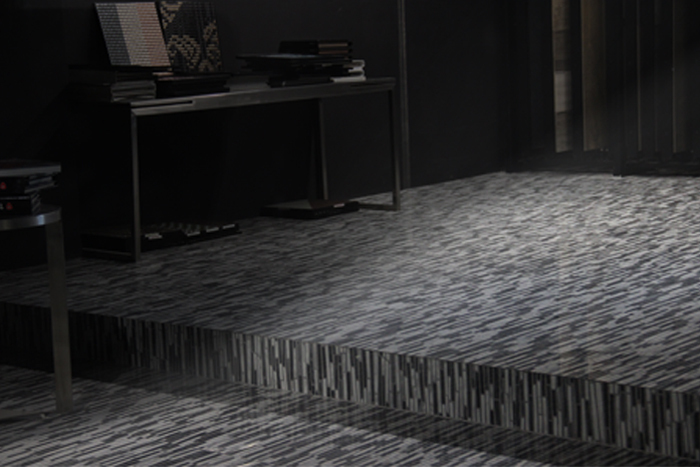 This concept was extremely well received by the client, as it has great potential to be translated into multiple mediums, and expressed through architecture, interior design, etc. 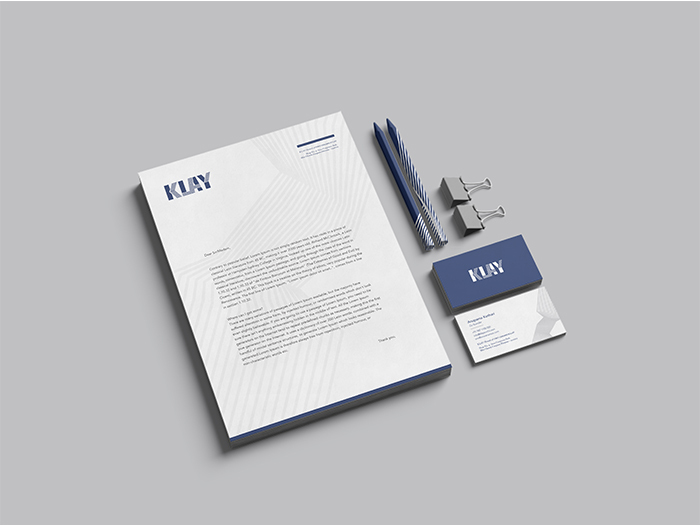 The colour palette was made to keep a hint of a corporate brand, while the visual language of the lines breaks away from any ideas of rigidity. 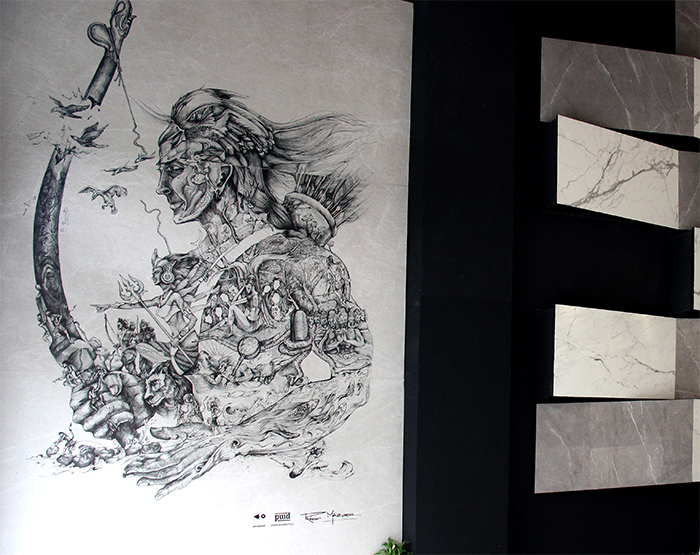 The Klay showroom also displays a 12×8 foot tile print of an illustration of Ram, made by Prasun Mazumdar under the Sparrow banner. 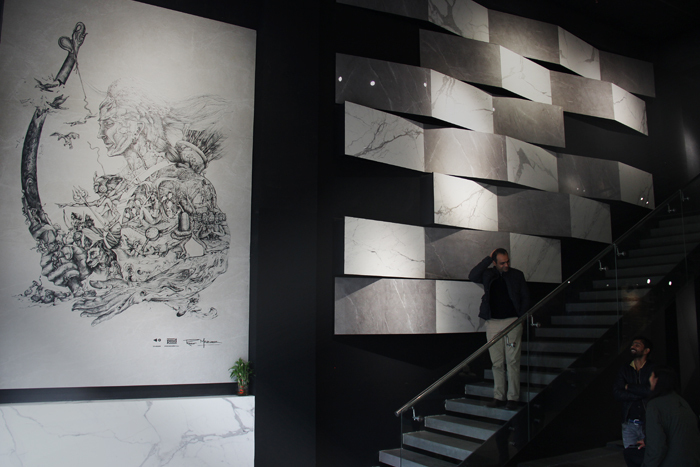 The piece adds a new dimension to the showroom, successfully hooking customers as it is the first thing they see as they walk through the door.